I find it strange because we always refer to our skin when we normally talk about ageing. The wrinkles and blotches that slowly appear and the face creams we will use to try and counteract these changes. Yet your hair also changes in several ways as the years go by as well. The first change you will tend to notice will be those pesky white hairs appearing and this is only one of the several changes your hair will go through. As there is no way we can stop getting older there is also no way to stop our hair from ageing. Even so it is still important to give your hair the nutrients it needs by eating a healthy diet. Change 1. Hair Changes With Age And Starts To Lose Its Color. Seeing grey hairs is a natural sign of ageing. Some people start to see grey hairs in their teens. While other people may reach the age of 50 without even seeing a single white hair on their head. Because the most common reason for your hair to start turning grey is genetics. If your parents went grey early the chances are that you will too. Your hairs individual color is due to a pigment that your body produces called melanin. As your hair changes with age your hair follicles produce less and less melanin. Because of this slowdown in melanin production your hair color at first will just seem to be not as rich and deep as it once was. And then finally some hairs will eventually start to lose their coloring all together altogether and become white. At this point you may start to look at the popular ways of coloring your hair. Or you may have decided to go with the flow and embrace your new grey look. 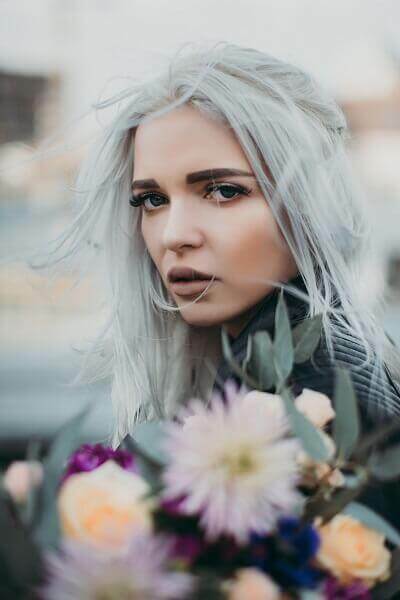 In which case learn the best ways to enhance your natural grey hair color. Change 2. Your Hair And Scalp Seem To Become Dryer. Keep your scalp healthy remember your scalp is skin to. Exfoliating your scalp every so often to remove dead skin cells, debris and products is very beneficial. Your hair and scalp are moisturized by sebum a natural oil produced by your body. When you are in your teens and twenties your natural sebum travels down your hair follicle coating your hair. Helping to keep it healthy and hydrated. Many people when younger can suffer from an over production of sebum. Which then leads to greasy hair and scalp. Over time your glands that produce the sebum slowly start to shrink and do not produce sebum as efficiently. So as your hair changes with age you will see a slowdown in the production of sebum to your hair and scalp. Your hair will lose its natural lubrication therefore your hair strands may start to feel dry and less smooth. This is due to the structure of your hair cuticle (the outside layer of your hair) becoming more brittle with cracks and unevenness. The use of a hair treatment on a weekly basis will help to nourish and revitalize your hair. Think in terms of a moisturizing treatment if your hair feels dry. If you feel you don’t have twenty minutes to spare for the treatment application. The use of hair oils can be a big help. There are many on the market but find one containing Argon oil. As Argon oil is very hydrating. Change 3. Your Hair Changes With Age And Loses Fullness And Volume. You are not wrong if you feel that your hair does not have the volume and fullness it used to have when you were in your teens. Your hair changes and grows in finer as you age. Hair changes and after the age of 20 most people’s hair does start to slowly thin by around roughly 2 to 3% a year. Now this is not catastrophic. Because you will not even notice the difference until you lose around 15% or more which could be a decade later. And only at this point will you start to spot that your hair is not as full as it once was. 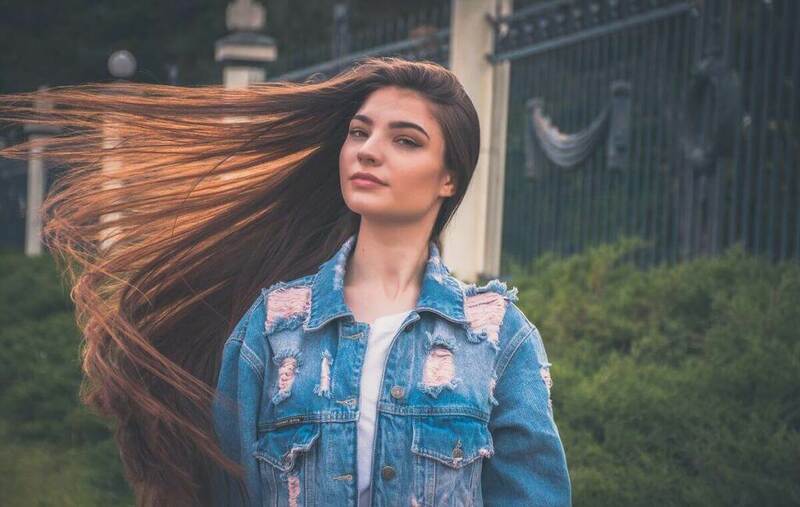 But if happen to you notice your hair is losing its volume at an alarming rate due to heavy shedding you may find its due to one of these reasons. Change 4. Why The Density Of Your Hair Decreases As Your Hair Changes With Age. Every single hair on your head has a normal life span of between 2 to 7 years. When each hair falls out at the end of its life span it is replaced by a new hair. The actual length of your hair’s life span is dictated by your genes. Now let me explain what I mean by your hair’s life span. The growing stage or anagen stage. This stage can last for 2 to 7 years. The resting stage known as the catagen stage. Which usually last a couple of weeks. 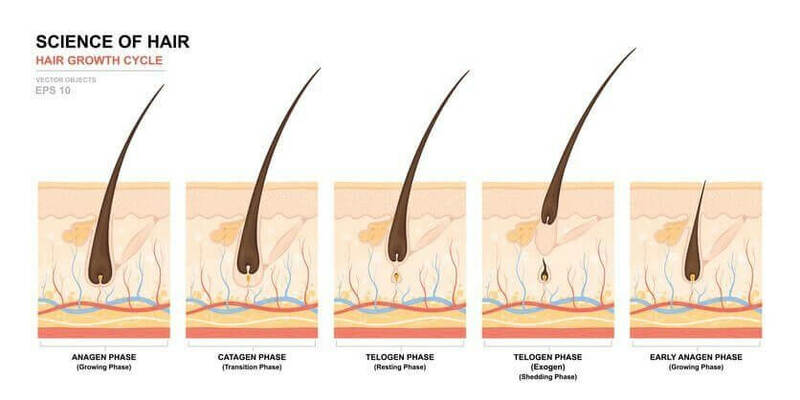 The shedding stage or telogen stage. This is the final stage can last for a couple of months. From a child and through your teenage years your hairs growth cycle is running on maxim for the length of time in the anagen or growing stage. Whilst in your early 20’s your hair will be as full and shiny as it will ever be. Towards your late 20’s the time devoted to your hair cycle growing stage is starting to be reduced. Whilst the amount of time your hair spends in its resting stage starts to lengthen. Which means that the period when a hair falls from your hair follicle and when another one grows back starts extending. Because of this extended resting period as your hair ages your hair follicles are not replacing your lost hairs as quickly. Which means that your hair’s density will start to decrease. Change 5. Why Individual Hair’s Grow Finer As Your Hair Ages. Most people will find that their hair seems to grow through finer as they age. Which is mainly due to the stem cells in your hair follicles getting damaged as we age. Once damaged these stem cells turn themselves into skin. Over time as your hair ages this will happen to more and more stem cells so causing your hair follicles to shrink. As your hair follicles gets smaller the hair produced will become finer and some will stop producing hair at all. Because of these two reasons your imagination is not playing tricks when you run your fingers through your hair and feel that your hair feels thinner than it did before. Tips To Help Counteract Your Hairs Ageing. Tip 1. If your hair seems drier try to skip a couple of days between shampoos by using a dry shampoo. Because washing your hair a lot removes your natural oils. Tip 2. If you cut your meals and tend to snack you might like to consider taking vitamin supplements that can be helpful for hair growth. Tip 3. As hair ages the ends tend to go wispier and thinner. Even if you wear your hair long keep your ends trimmed up regularly to achieve a thicker look. Tip 4. If you find that your hair is thinning. Think about a change of style.Talk to your hairdresser and ask their advice as some haircuts can make your hair appear thicker than others. Tip 5. Think of going lighter or brighter if you color your hair. In most cases too dark hair color tends to age a person. If your hair is dark think more rich chocolate or cocoa browns. Otherwise blondes and light browns placed strategically around your face or parting can brighten up a hair color. Thank you for taking a moment to read what I write. If you found it interesting please share with a friend.